NOTE: This article has been updated as of the "Elseworlds" triple crossover, December 2018. First, there was Arrow. Then they spun off The Flash. And then, far away on another network and in another universe, there was Supergirl, followed by the advent of DC's Legends of Tomorrow. 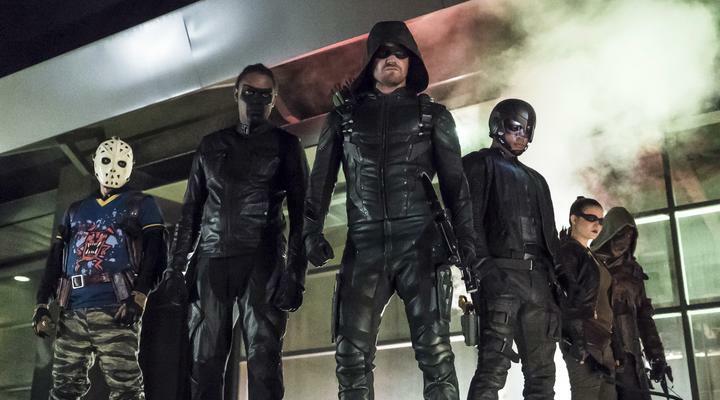 The four shows, now all airing on The CW, are currently referred to as the "Berlanti-verse" after Greg Berlanti, their creator. But I'm fonder of sunbunny's nickname, Team SuperFlarrowLegends. Tracking so many crossovers is not easy, and after a bit of experimentation, I decided that the only way to manage it was by actor. (I challenge you to track all of these crossovers in chronological order of crossover!) I am only counting it a crossover when an actor appears; a mention doesn't count. I'm also grouping it by each show, with miscellaneous supporting, continuing and guest characters at the end – as long as they've appeared on at least two shows. And yes, I decided to give Constantine a section of his own, even though his initial show wasn't part of the Berlanti-verse. I plan to update this post periodically as more crossovers occur. Feel free to post a comment if I miss someone. Important: If you aren't up to date on all shows, some of what follows could be considered spoilers. It all began with Arrow on October 10, 2012. 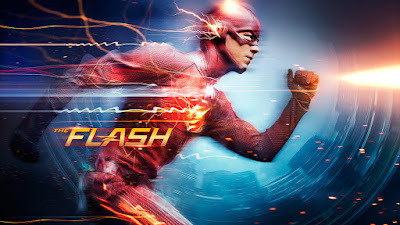 And then there was The Flash. 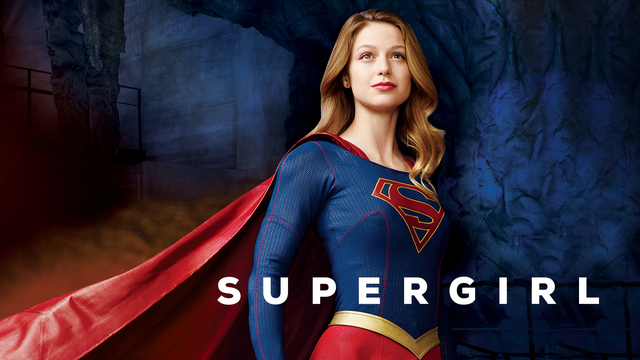 Yes, Supergirl is third. 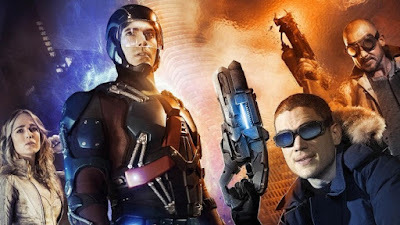 The show began on CBS three months before Legends of Tomorrow premiered on The CW. Supergirl has also had the fewest crossovers – at least so far. DC's Legends of Tomorrow, a.k.a. Legends of Tomorrow, a.k.a. 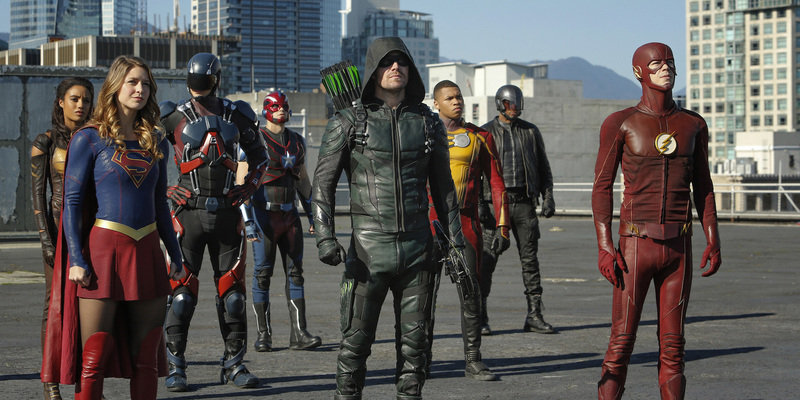 Legends, began January 21, 2016, and stars many characters that started out on Arrow or The Flash, which makes tracking the crossovers a bit more challenging. I decided to list all Legends cast here, even if they were previously cast members of another show. 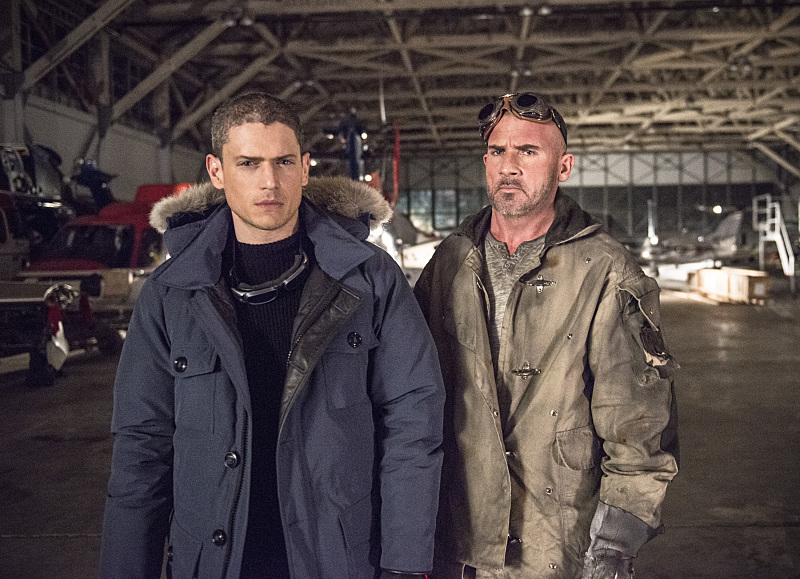 Captain Cold and Heat Wave started as villains on The Flash, took a somewhat heroic turn and became Legends. What is really delightful is that Wentworth Miller and Dominic Purcell played brothers for four seasons of Prison Break, and reprised those roles in the Prison Break sequel (2017). For some delightful reason, Dominic Purcell's turn as Mick Rory/Heat Wave has become one of the best things about Legends of Tomorrow. And not just because he's hilarious; his character has also gone through some fascinating dramatic changes. Since Snart was a cast member only for season one of Legends and is now a free agent (so to speak), that's how I'm tracking him. 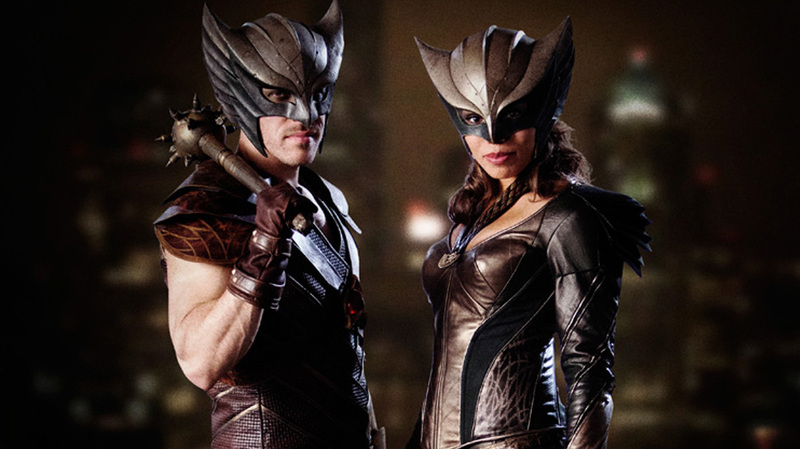 A bit less popular than Captain Cold and Heat Wave, Hawkgirl and Hawkman were introduced in The Flash and were season one cast members of Legends. I hope the actors didn't take all of the anti-Hawk fan griping personally. The character of Gideon has been voiced by three actresses now: Amy Pemberton on Arrow and Legends of Tomorrow (2016 to present), earlier on The Flash by Morena Baccarin, uncredited (2014), and as Earth X Gideon on Legends by Susanna Thompson. Coincidentally, Morena Baccarin also worked on another but unrelated DC project, Gotham. Constantine wasn't technically a Berlanti-verse show because Greg Berlanti wasn't associated with the series. But I had to add him since he's now a Legends cast member. Isn't that delightful? Here's everyone else who has appeared on more than one of the shows as a guest star or continuing character (mostly crossover villains) listed sort of chronologically from earliest to latest. I think. As I mentioned above, I plan to keep this crossover post updated. 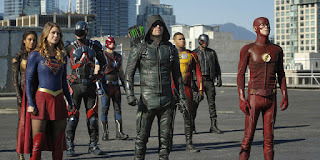 (It is currently updated as of the "Elseworlds" crossover in December, 2018.) Please post a comment and let me know if I miss something! I hope the upcoming episodes will make this list a lot bigger. :) Good comprehensive guide. I know it won't happen but I'd love a crossover with Oliver going to Earth-G (for Gotham), then come back and say "You think I have emotional problems and trust issues? Let me tell you about this cop I met over there." Or have Lucifer pop over to, well, anywhere. i wish i'd have seen this about 2 weeks ago when I accidentally fell into watching Supergirl on Netflix. I was planning to watch all the shows eventually. So obviously I've seen season 1 of Sg. And then I starting watching The Flash because cute little Barry had visited. And I know i'm going to have to watch Arrow next, then Legends. I've done it all wrong! i'm hoping it will still all make sense. Although I haven't seen it myself, there is also the Vixen animated series on CW Seed. Several cast members from Arrow, Flash and Legends have appeared on it and Megalyn Echikunwoke reprised her role in S4 of Arrow and would've done the same on Legends were it not for other commitments. Marianna, lol. I like creating spreadsheets too, something I did a great deal in my previous couple of jobs. Patrick, I am also hoping for a lot more crossovers. 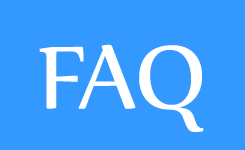 :) Crossover guides are a lot easier to update than to create, too. tricksterson, I bet you're not the only one. ClovieD, you could always rewatch if you find it confusing. Mark, I thought about adding the Vixen thing, which I also haven't seen, along with the previous appearance of Vixen by another actress, but is it considered a webisode? Should I add webisodes? Does Iris West appear in any cross over episode? sillyrabbit asked: Does Iris West appear in any cross over episode? 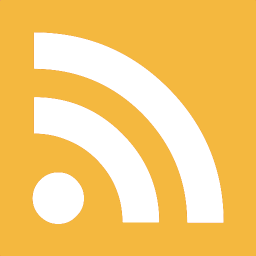 Is there a word limit to posts on Blogger because at this rate this guide might exceed them. I'm watching the Berlantiverse shows as they come available on Netflix, and this is really useful! I watched Legends first, and am now (as of this writing) working my way through Flash. That means it's almost enough for me to dig in to the four-episode crossover "Invasion!" All that info is up above, but I thought it might be useful to have it laid out like this for us Netflixers. I just did a major update of this post because we had umpty eleven million major and minor characters crossing over four ways in "Crisis on Earth-X." 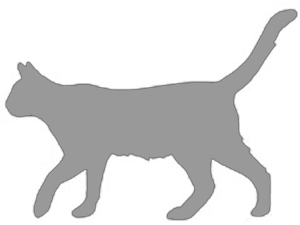 If anyone sees an error of any kind, really, please don't hesitate to let me know -- post a comment. Any chance to get a copy of that spreadsheet Marianna? Or just a comprehensive list of the order of which show and episodes to watch to keep a proper storyline of the crossovers? You know like 'Watch the first 6 episodes of Arrow then watch 8 episodes of Flash, Then 3 of Supergirl, then back to Arrow for....' I know it's a lot to ask but I figure maybe someone has something like that already. ClovieD, I don't have anything that detailed, but there's a thing at the top that says when each season of what airs with the other season of what. Maybe that will help. Thank you. That's something! I just don't have the mental capacity to try and put anything in any order lately.